Really and truly. My grandfather used to go to the bookstore and buy as many as fifteen or twenty of the little cheap-o western paperbacks every couple of weeks. He would read through them and as I was really the only grandson who read as much as him, he would give them to me. I had an entire giant toy box filled to the brim with Louis L'Amour's, Zane Grey's, and any number of other lesser (and sometimes, although rarely MORE) talented writers. Combine this with a love of rodeo and well, you have the makings for a lifelong affair right there. So fast forward to now. 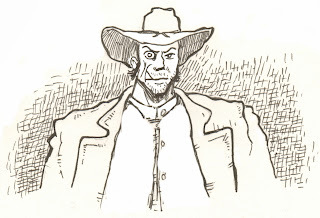 As a voracious consumer of westerns AND comic books it seems only logical that I should try to come up with a comic book western story. 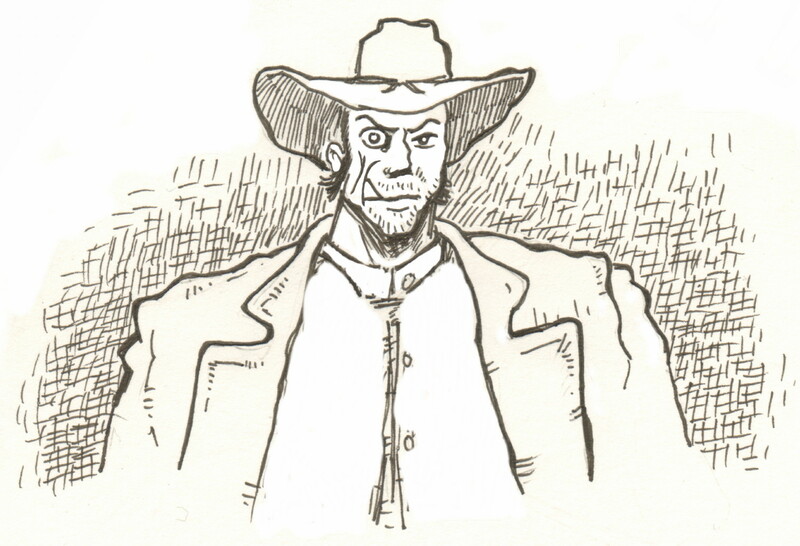 So I was talking with my good friend Cap'n Tony (a writer of soon to be renown) and we came upon the idea of doing a Jonah Hex short story and then submitting it to DC Comics. Even if we don't get in, it'll be really cool just to do one. So, while the good Cap'n bangs out the literary side and I await my duty of illustration, here's a quick drawing out of the old sketchbook that I did to get used to the character. Maybe a little inspiration for the Cap'n, as well.